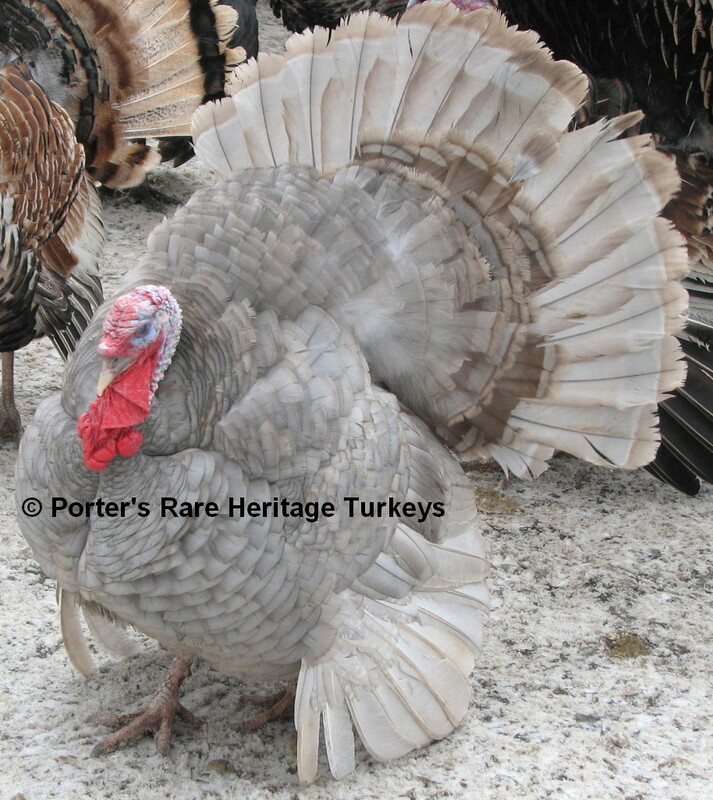 There has been and still is a lot of controversy on just what a Lilac turkey is suppose to look like. 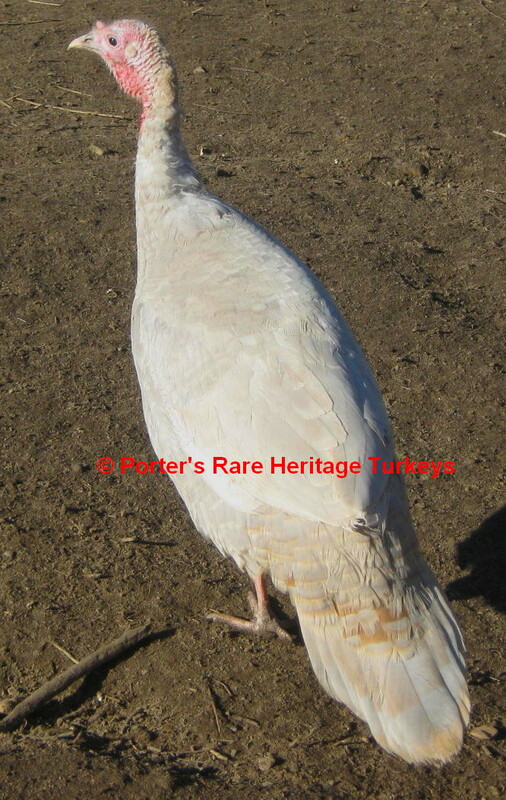 I have done some extensive research and also did some test breeding's myself and I have came to the conclusion that a Lilac turkey is really just bronze based with two slate genes. Genotype of b+b+DD. A light slate colored body with a pale reddish tan tail and slate colored band ending in a creme or white tip. 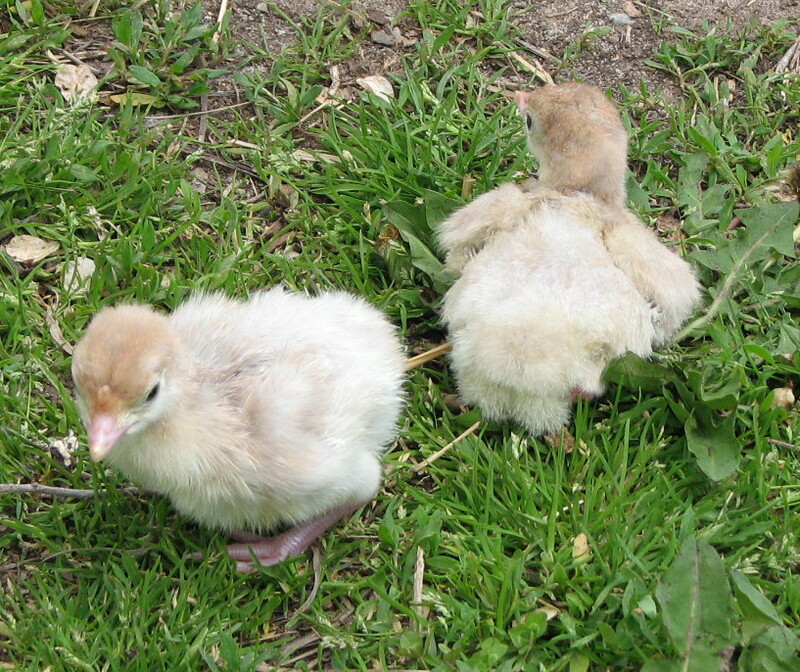 The red gene is not involved in this variety, the pale reddish tan tints in the tail is just the bronze gene expressing through the slate color. They will breed true. Approx. Weights: Old tom 30 lbs. and old hen 15 lbs. Powered by web design firm.